Earlier this year, Apple announced that it would be deprecating some of the features most commonly used by our customers in macOS Server. 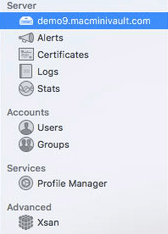 Currently, existing installations of macOS Server that have been upgraded to the latest version still have all of the features available in the GUI. However, new installations of macOS Server are now missing the features that have been deprecated. Although Apple provided a list of potential alternatives for specific services, not all of the alternatives are viable. For example, Dovecot and Postfix are powerful and popular mail servers, but the majority of users won’t be willing to manage dozens of configuration files in place of a GUI. Update 7/12/2018 – Apple recently released a PDF guide on keeping services running after they have been removed from macOS Server. Use caution with this guide – we’re still recommending finding alternatives since the underlying services (such as vpnd) might not always exist in macOS. Our current replacement recommendations for popular services that are being removed from macOS Server are listed below. Keep in mind that these may change over time, and we encourage any additional ideas be sent to support@macminivault.com for potential inclusion in the list. Umbra Hosting – our email and web hosting brand. Each of the shared hosting plans includes webmail, IMAP/POP, and a place to put your website. Current customers can use our authoritative DNS cluster to host DNS for their domains – just open a ticket and we’ll get you set up. Unfortunately we have not found a good alternative for a VPN server that runs on macOS natively. Any suggestions that you’d like us to test are welcomed. VPN access is also included with all of our Managed Cisco ASA Firewall options – contact us for more information. The above suggestions are for macOS. If running macOS isn’t a requirement of yours, we also offer free installations of an Alternative OS like CentOS, Ubuntu, Windows, and VMware ESXi on your Mac mini. Installing a different operating system such as CentOS opens up the possibility of running your own easy to use Website/Email/DNS server with software like cPanel (paid license) and Webmin (free). Open up a ticket for questions and more information.